I am often asked about variety in regards to exercise selection and programming. For example, some question how I perform the same exercises year after year without succumbing to boredom. Others question the value of variety. They are afraid to change exercises as they fear losing the gains that took so long to achieve. As a result, they have essentially concluded that boredom is an inevitable consequence. In their eyes, it comes with the territory so you must persevere through it. Fortunately, it does not need to be that way. Yes, I am all for perseverance but you don’t need to continually persevere through the exact same exercises and routines. It is possible to include variety without disrupting a routine that has worked well for you. Variety does not mean knocking everything down and starting from scratch. Variety can be much more subtle. You don’t need to abandon an exercise that has worked well for you. Often times, variety may simply mean performing a slightly different variation of the same movement. An example of this concept can be seen below. I have performed standing rollouts for years. I hardly remember when I first used the exercise. Yet after all this time, I still benefit from the exercise and enjoy it. The reason for that is simple. I don’t limit myself to a single variation. I mix things up on occasion with new or different challenges. Even simply changing my scenery can be enough to provide a new spark. Yet regardless of the variation I use, the physical benefits are relatively similar. I am not reinventing the wheel. I’m just using a different set of wheels on occasion to keep the ride interesting. And clearly standing rollouts are just one example of this concept. Subtle forms of variety can be applied to countless exercises and routines. Variety could mean changing your running route. It could mean changing your grip on the pull-up bar. It could mean performing handstand pushups from rings instead of handles. It could mean performing an exercise with thick handles instead of a standard bar. It could mean occasionally working with dumbbells instead of a barbell or vice versa. We could go on and on with examples. In each case, we are not trying to fix something that isn’t broken. On the contrary, we are looking to spice things up to stay mentally fresh while helping to prevent physical plateaus. I’ve subscribed to this simple concept for years and I’m still going strong. I can’t even fathom the thought of being bored in the gym. With a regular dose of creativity, boredom becomes unimaginable. It is everything but an inevitable consequence. Good stuff as always. You use a board during many parts of the video, most notably at 1:30 for the decline rollouts. What is it and where did you get it? I read in Never Gymless that you come from an Italian family and like to cook whole wheat pasta. Tonight, I had some whole wheat pasta for the first time and really enjoyed it and was hoping that you could share some recipes with us on your blog? I think a few fitness dishes would be great fun to try. @Joe – I’m the last person you want recipes from! I could burn water. @Aging – It’s a homemade ramp that I’ve demoed before for rollout progressions. It has been shown in a few previous Youtube tutorials along with my core training DVD. It is made from 2×4’s. I then stapled carpet on top afterward. DO you have a prefernece in pasta configuration though? Red sauce, pesto, chicken, beef, green peppers, onion, etc. Not to mention using variation in tempo, rest intervals, sets and reps, and workout routine (eg supersets, complexes, circuits). I can’t imagine how anyone gets bored as the variations are limitless. People get stuck in a rut because they don’t want to think about what they do. I see so many guys come into my gym and just do random stuff: no plan, no progression and no gains! Or come in and do the same workout every day: no variation, no progression and no gains! I think people underestimate the mental and emotional demands of training. 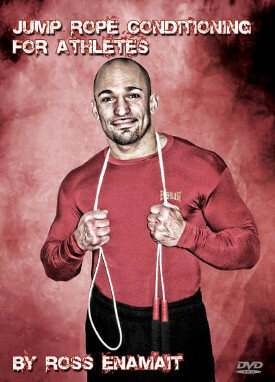 In Never Gymless, there’s a one arm pull up. How many people can do those that you correspond with? How many sets and reps of those do you typically do while training? Another thing that your form of variety can add is mastery. When you tweak and alter the same moves you become incredibly proficient at that exercise leading to complete mastery which enables you to reach a much higher level.